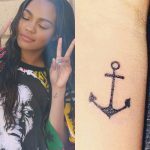 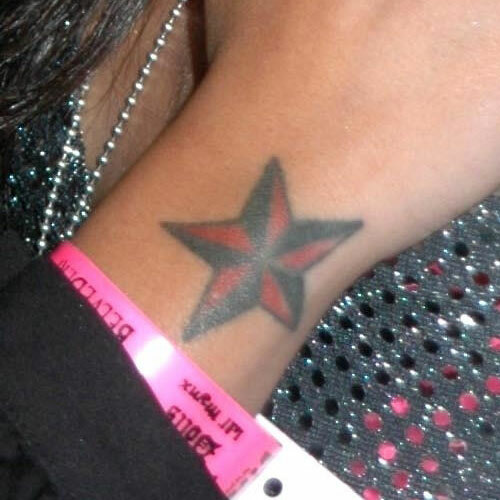 Tila Tequila has matching nautical star tattoos on both of her wrists. 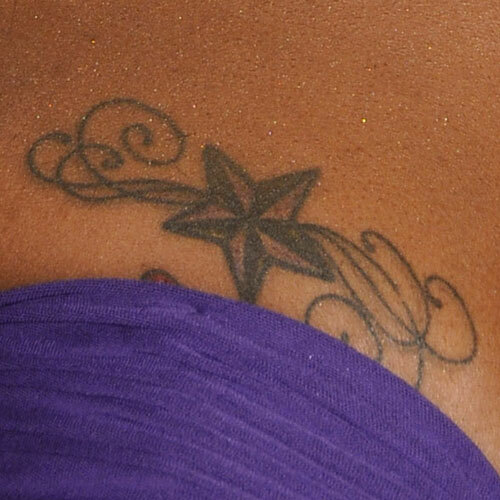 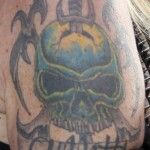 This one on her left arm is black and flesh-tone while the other is black and red. 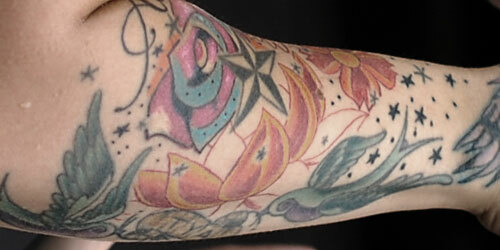 Tila Tequila has a red and black nautical star tattoo on her right wrist. 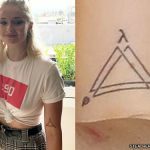 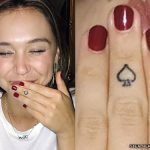 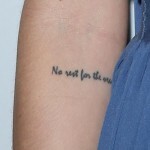 She has a matching tattoo on her other arm in black and white.